NEPTUNE POOL: Honest now. Does the Neptune Pool at Hearst Castle cross your mind, oh, a dozen times a year? At least. It's the one pool no one ever forgets once they've seen it -- we've just got to say it like it is a fact, because we do believe it to be -- but it is also an area one doesn't spend a tremendous amount of time at (because one is usually on a tour of the landmark, and tours tend to move). That can change at Sunset's Savor the Central Coast, the publication's annual celebration of area wines and eats. The opening night VIP party will be next to the famous hilltop swimming pool, which is reason enough to get tickets. Oh, and when do tickets go on sale? Why thank you for asking. The date is Thursday, May 5. FALL DATES: Savor the Central Coast 2011 is set for Sept. 29 through Oct. 2; the Hearst Castle soiree is on Thursday, Sept. 29. 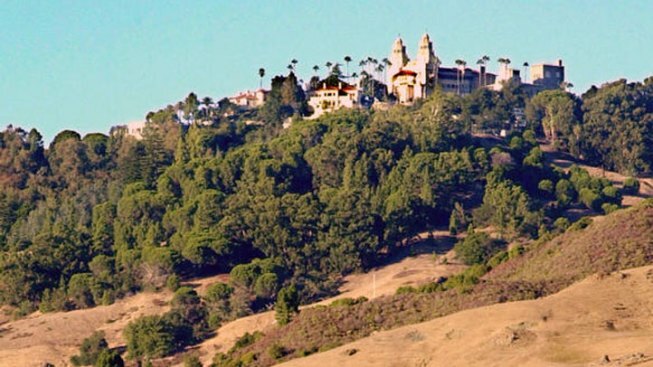 The event will then move to several other Central Coast locations, including the lovely Santa Margarita Ranch and Mission San Luis Obispo de Tolosa, for more food- and wine-focused seminars, tastings, and samplings. And such. Oh, and if you're a fan of Washington wines, note that they'll be making a cameo this year. Mmm. Now, to think of the Neptune Pool for a few minutes. Excuse us.